Jesamine can help you to purchase or build a home, refinance your existing home loan or obtain a loan for your business. 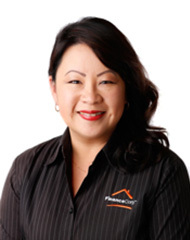 She has experience in both the banking and real estate industry and understands the transaction from the buyer’s, seller’s and lender’s perspective. Her broad range of knowledge helps her to find her clients the best loan for their needs and guide them along the way. Jesamine has an open and collaborative approach, which enables her to develop strong, positive relationships with clients. You can rely on Jesamine for exceptional customer service.